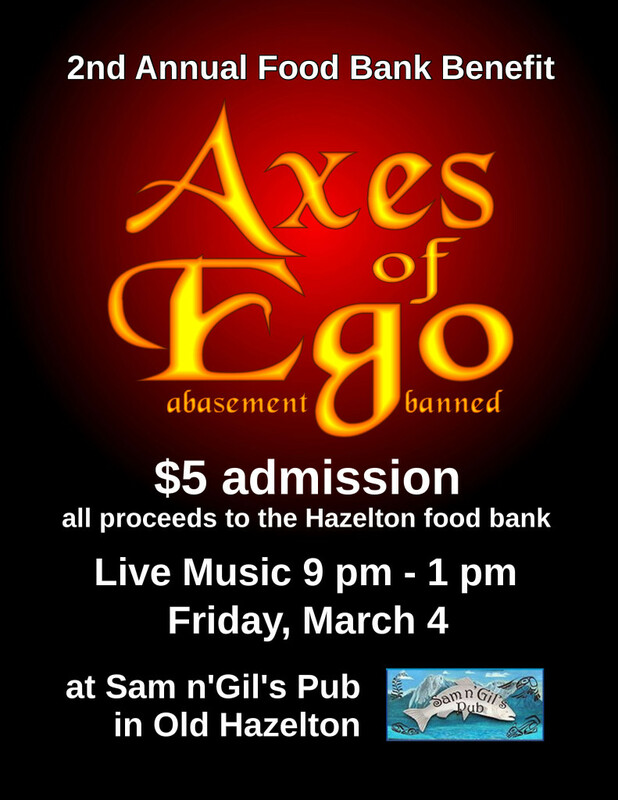 Announcing the 2nd annual Axes of Ego Hazelton food bank benefit show. Live music, 9 pm – 1 am on Friday, March 4 at Sam n’Gil’s Pub in Old Hazelton. Cover charge: $5 – proceeds to the Hazelton food bank.